Composting is a great space efficient way of making use of waste materials you would ordinarily throw away. Composting improves soil fertility and structure, it can also encourage wildlife into your garden, and best of all its free and fun. Typically the composting process can take nine to twelve months. 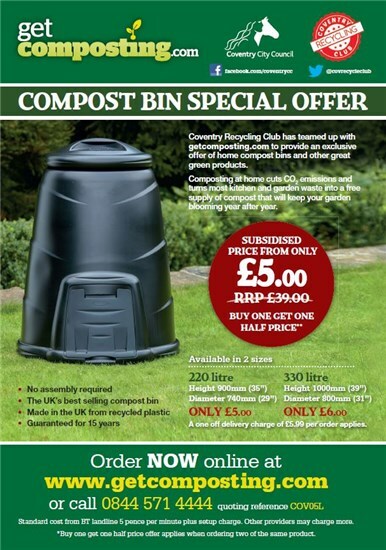 The finished product is nutrient rich and can be used on your garden in a variety of ways.To get you started with home composting we are offering Coventry residents the opportunity to purchase subsidised home composting bins at a fantastic prices. Terms & Conditions apply to both offers please visit their website for full details. The offers are on a first come first served basis prices will revert back to standard pricing once funding limit has been reached. 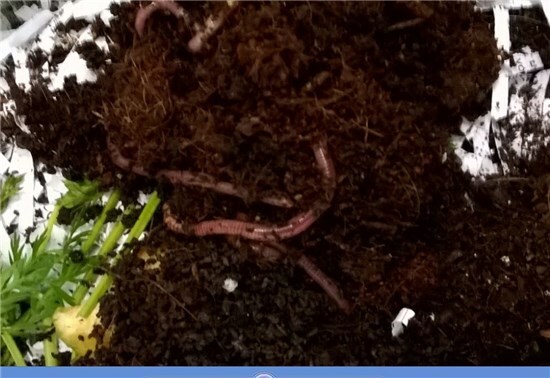 Wonderful worms below making beautiful compost.